Congratulations to Funjet Vacations for 39 Years! This week marks an important anniversary for Funjet Vacations–for 39 years, they have worked with travel agents to provide unforgettable vacation experiences to millions of customers. Since they opened their doors, a lot has changed in the travel industry. Other competitors are now owned by an airline, online travel agency, competing retail travel agencies, and invested in by a venture capitalist firm. Funjet Vacations remains the only large scale tour operator that is still owned and operated by the family that founded the business. Click the logo to price and book a complete vacation online! Related: Secrets Resorts — There’s an app for that! AMResorts (Zoëtry Wellness & Spa Resorts, and Secrets, Dreams, Now, and Sunscape Resorts & Spas) celebrated the official opening of Secrets Vallarta Bay Puerto Vallarta and Now Amber Puerto Vallarta with a special ribbon cutting ceremony coinciding with Mexico’s Tianguis Turistico. 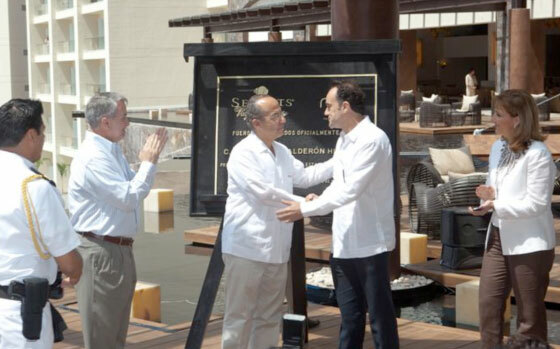 To mark the important occasion, AMResorts’ President Alex Zozaya was joined by Mexico’s President Mr. Felipe Calderon. The two-resort complex introduces the first Secrets and Now Resorts & Spas properties to the popular destination and represents Puerto Vallarta’s first new construction hotels in almost a decade. 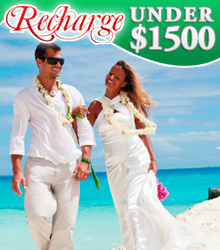 Each property will feature AMResorts’ signature Unlimited-Luxury® vacation concept. Secrets Vallarta Bay Puerto Vallarta offers adults an extra measure of romance and sensuality in a beautiful beachfront setting. Guests will be welcomed by 271 elegantly-appointed rooms and suites with 24-hour concierge and room services; multiple gourmet, a la carte restaurants and lounges serving premium beverages; endless day and evening activities; and full-service spa and fitness facilities. With 331 oversized guest rooms and suites with ocean views and private terraces, Now Amber Puerto Vallarta will cater to couples, friends and families. The resort offers amenities such as wireless internet access, flat screen TVs with surround sound systems, daily refreshed mini bars, 24-hour room and concierge services, multiple gourmet dining offerings and full-service spa and fitness facilities. The resort will foster a sense of understated luxury and comfort, and has received the Amber gemstone symbol as a reflection of the inviting rich sands along Banderas Bay. Secrets Resorts — There’s an app for that! AMResorts (Zoëtry Wellness & Spa Resorts, and Secrets, Dreams, Now, and Sunscape Resorts & Spas) announced today the launch of its new, interactive Unlimited-Connectivity® app. Now available for the company’s most recently opened properties, Secrets Vallarta Bay and Now Amber Puerto Vallarta, the innovative app will be rolled out to all AMResorts brands and resorts by the end of 2012. 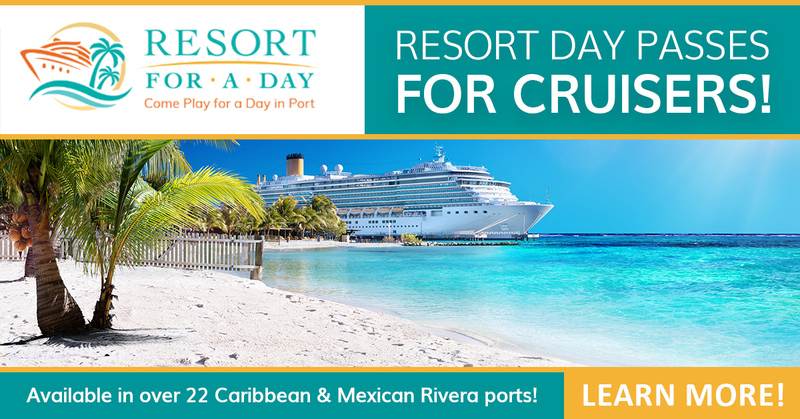 The free digital application developed by AMResorts and Telmex, a world leader in communications, is accessible for mobile download to iPhone, iPad, iPod Touch, Android, Blackberry phones. The app allows guests to stay connected and communicate with family and friends back home using the app-to-app calls feature to call local and international (U.S. and Canada) phones and send messages over the hotel’s Wi-Fi network without incurring any international cell phone roaming charges. Guests also can create user profiles using their email, Facebook or Twitter accounts to contact staff directly, tailor personal deal preferences, book spa appointments, reserve excursions and be just a click away from information about dining, amenities, resort activities, local attractions and much more. 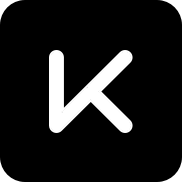 Users can register the app with their room number, allowing them to instantly view their folio and request hotel services. The easy-to use, cost-saving app registers as a room extension so guests can send and receive calls throughout the property as if they were in their room. AMResorts also is introducing a new AMResorts Collection iPad app, an interactive information resource and travel planning tool. A Secrets Brand Collection will be available for download on iTunes. Apps for the company’s other four brands will be accessible by the end of 2012. The iPad app will allow users to input their travel needs and interests and access specific resort recommendations based on their preferences. It is designed to help couples, families and adults plan and book their future vacations with AMResorts, as well as enable agents and planners to quickly identify the property that best fits their client or group function. AMResorts enjoyed an exciting 2011 with the celebration of its 10th anniversary milestone, a new brand introduction, entry into new destinations, five resort openings and the continued growth of its diverse portfolio. The company closed the year with 26 resorts and almost 10,000 rooms in Mexico, the Dominican Republic and Jamaica. In November 2011, AMResorts re-launched the Sunscape Resorts & Spas brand with the opening of Sunscape Dorado Pacifico Ixtapa – its first resort in this popular Mexico destination. Ixtapa is the seventh Mexico destination to have an AMResorts property, demonstrating its success and confidence in this market. Also last November, AMResorts celebrated the official opening of the adults-only Secrets Marquis Los Cabos. The opening marked the brand’s entry into the popular vacation destination of Los Cabos, Mexico. The December 2011 debut of the adults-only, 399-suite Secrets Huatulco Resort & Spa became Secrets’ first foray into the growing vacation destination of Huatulco in Mexico’s Pacific region and is AMResorts’ second resort in the area, following Dreams Huatulco. AMResorts continued growth in the Dominican Republic with the debut of two new Punta Cana properties in May 2011: Secrets Royal Beach Punta Cana and Now Larimar Punta Cana. These properties are joining the company’s four additional resorts in the destination: Dreams Punta Cana, Dreams Palm Beach, Dreams La Romana, and Zoëtry Agua Punta Cana. 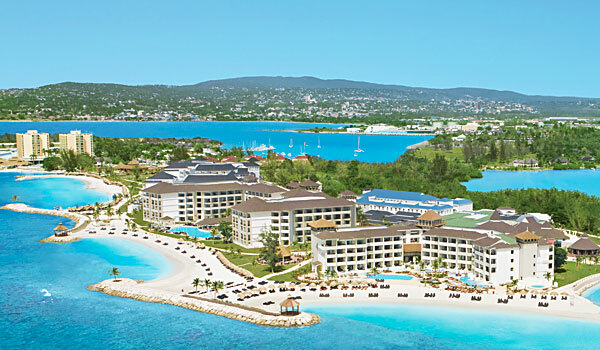 The 2013 debut of the Gems at Cap Cana complex, a $400 million development and the company’s largest project to-date, will continue AMResorts’ expansion in the Caribbean. AMResorts has two developments underway in Puerto Vallarta, Secrets Vallarta Bay Puerto Vallarta and Now Amber Puerto Vallarta, set to open in April 2012. The $175 million USD project introduces the first Secrets and Now Resorts & Spas properties to the popular destination and is responsible for creating 902 direct jobs. The 602-room, two-resort complex represents Puerto Vallarta’s first new construction hotels in almost a decade. Secrets Vallarta Bay Puerto Vallarta will offer adults an extra measure of romance and sensuality in a beautiful beachfront setting. Guests will be welcomed by 271 elegantly-appointed rooms and suites with 24-hour concierge and room services; multiple gourmet, a la carte restaurants and lounges serving premium beverages; endless day and evening activities; and full-service spa and fitness facilities. The opening of the newly built, 495-room Secrets The Vine Cancun is scheduled for August 2012 in Cancun’s popular Zona Hotelera. The newly built Secrets The Vine is located on the golden Yucatan Peninsula coastline. The resort features 495 luxurious guest rooms, all with ocean views, private balconies, Italian porcelain floors, and teak wood furnishings. Its lobby celebrates fine wine in both its design and menu offerings with a designated wine tasting area for guests, the Enoteca (wine cellar). Featuring a Mexican handcrafted wood table with seating for up to 30 guests, a unique wine wall housing as many as 3000 varieties of wine, and sommelier-lead tastings of some of the world’s finest wine collections, the Enoteca promises guests a rich and relaxing wine tasting experience. By 2013, AMResorts is anticipating a portfolio of 35 resorts, more than 13,500 rooms and entry into new destinations including Costa Rica. Hard Rock International, having recently teamed with Palace Resorts on Hard Rock Hotel & Casino Punta Cana, will transform Palace Resorts properties in Cancun, Puerto Vallarta, and Riviera Maya into Hard Rock Hotels. These will be “ultimate all-inclusive” properties that bring the acclaimed Hard Rock experience to these popular Mexican tourist destinations. The new Hard Rock resorts will maintain the same superior quality and exceptional service that Palace Resorts are known for, but now with more rock n’ roll for your enjoyment. Palace Resorts will continue to own and operate each property, just as they do with the Hard Rock Hotel & Casino Punta Cana. The transformation process will begin in the coming months, with the first Hard Rock-rebranded hotel in Cancun scheduled to launch in Winter 2012, Puerto Vallarta in Spring 2012, followed by a Fall 2012 first-phase debut of Hard Rock Hotel Riviera Maya.